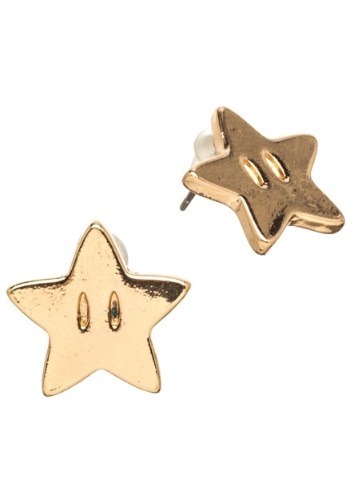 Okay, so maybe these Nintendo Super Mario Star earrings won't actually turn you into an unstoppable Italian plumber. They will, however, make you feel like your style is completely invincible! They're based on the iconic power-up from the video game series and they have a metallic gold sheen to them. They're standard post style pieced earring and measure about half an inch wide. These earrings aren't just great for adding some Mushroom Kingdom style to your normal outfits. They're also the finishing touch to any Princess Peach costume you might consider for your next costume party!